Ellis Champion was a very old established frame builder – his catalogues claimed they had been frame builders since 1897 and Percy Ellis finally packed up in the early. 1960s. 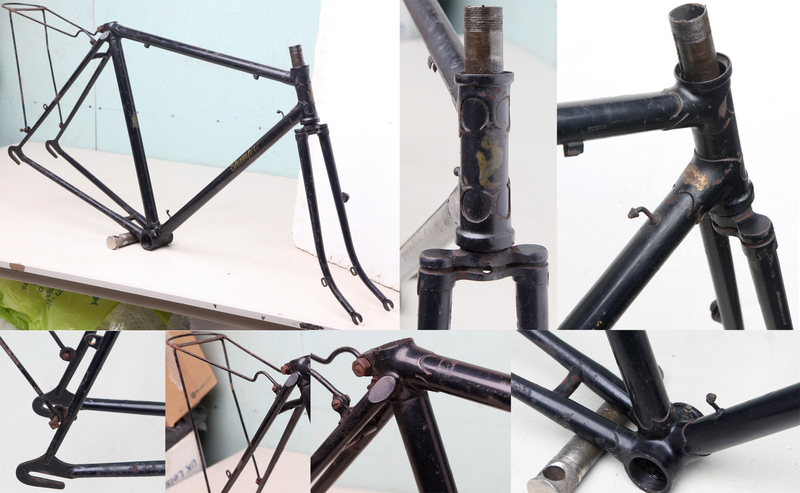 This frame dates from either the wartime years or just after. 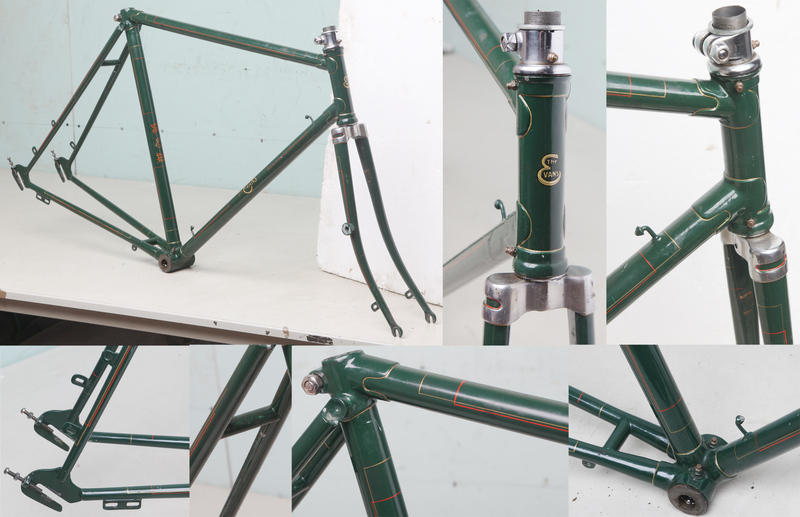 In the post-war years his frames always looked very old fashioned but they were exquisitely built with lovely filing clean lug shorelines and very neat clean brazing. 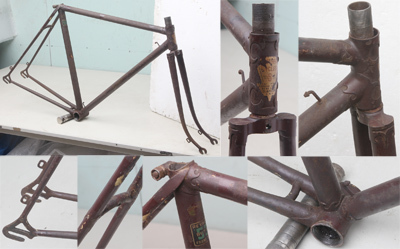 Saddle bag supports were a common feature of his frames. 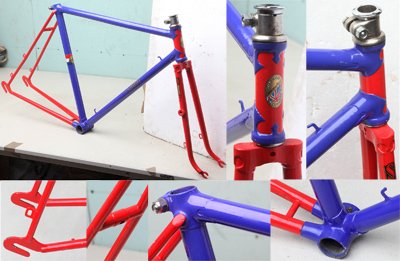 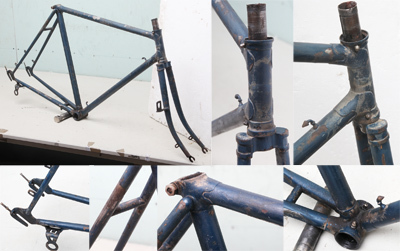 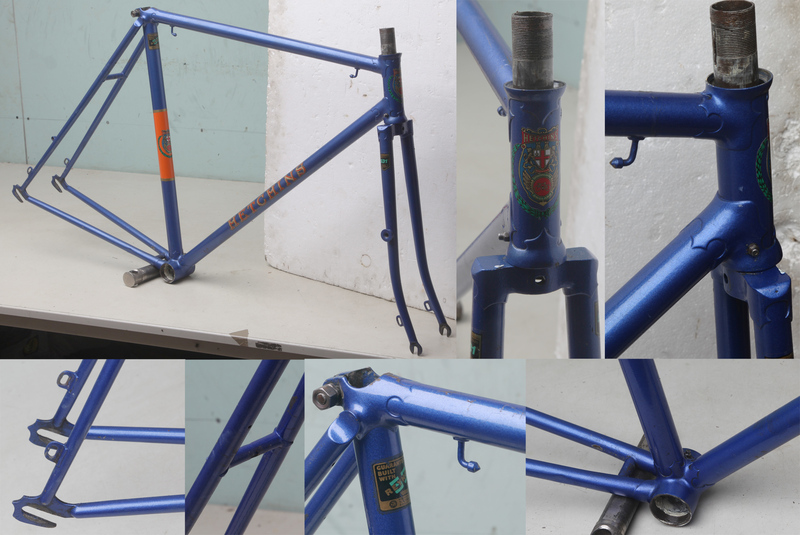 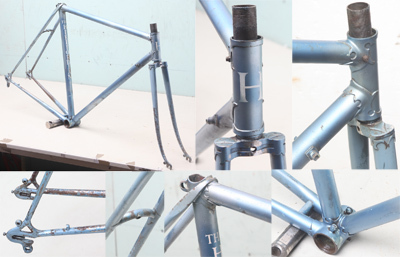 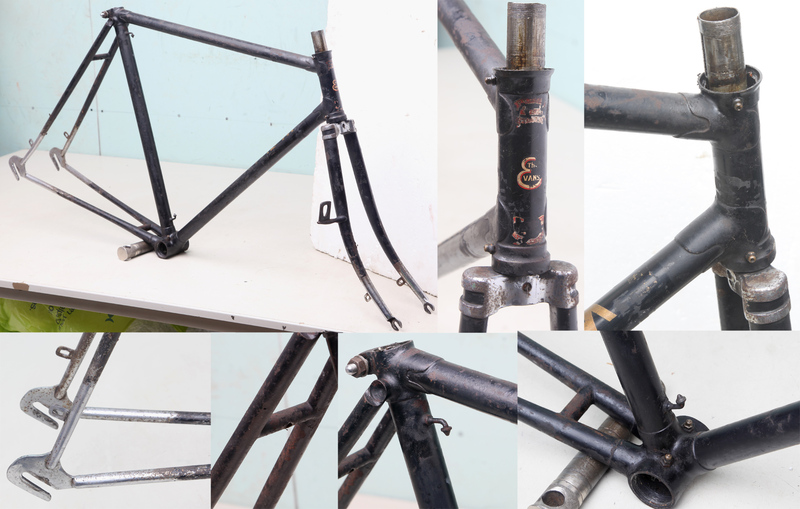 This frame is one of the earliest Hetchins Competition frames and was the last frame built in 1937 – it was supplied on 26th January to F R Russell of Wolverhampton who was an established Hetchins dealer… It has Chater Lea bottom bracket threads – I can supply a suitable BB to fit at extra cost… It has been reasonably repainted and this is mostly unmarked. Jack Sibbit was a one of the great pre-war track cyclists winning a silver medal at the 1928 Olympics and 12 National Track titles. There’s masses of information on Jack Sibbitt at: http://www.classiclightweights.co.uk/builders/sibbit-builder.html He set up a shop in Manchester in the 1920s and started building frames many of which were for track use.